When meeting new moms and talking about kids, one of the first questions always asked in conversation is, "Are you breastfeeding?" I feel guilty every single time I say no. Reese is fed, happy, and healthy, so why does it matter? Why do we care if other people are feeding their babies breastmilk or formula? That first week home from the hospital was SO hard for us. People tell you breastfeeding isn't easy. While you're pregnant, you research and read about how breastfeeding isn't easy. Even so, you can't truly understand the reality until you're in it. At the beginning, I shed more tears than Reese trying to get her to latch, finding the right position, and praying I was making enough milk to sustain her appetite. 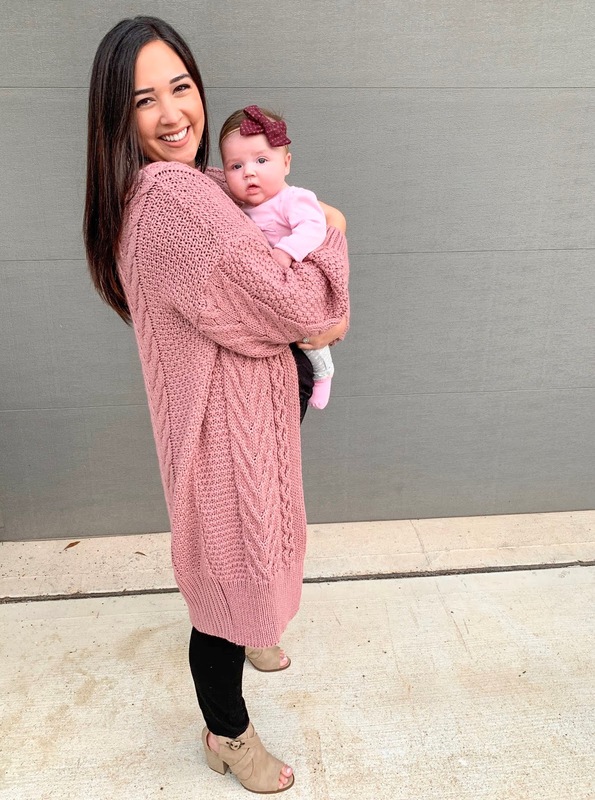 I would grow anxious as the clock crept closer and closer to feeding time, and I felt as if I was tied to my house, uncomfortable thinking about having to breastfeed in public. One day, it seemed like it all just clicked - like Reese figured out what she needed to do and I discovered how to make it work. My breastfeeding journey only lasted about six weeks, but I did end up loving every minute of it. I worried when we switched to formula that the special bond you make with your baby while feeding wouldn't be same. I couldn't have been more wrong. Even with a bottle, her gorgeous blue-green eyes stare up at me just the same. They start to flutter closed when she's relaxing, and she still nestles into the crook of my arm. I'm still intoxicated by her sweet baby smell, and once I realized all of this, I truly got to enjoy the convenience of formula feeding. 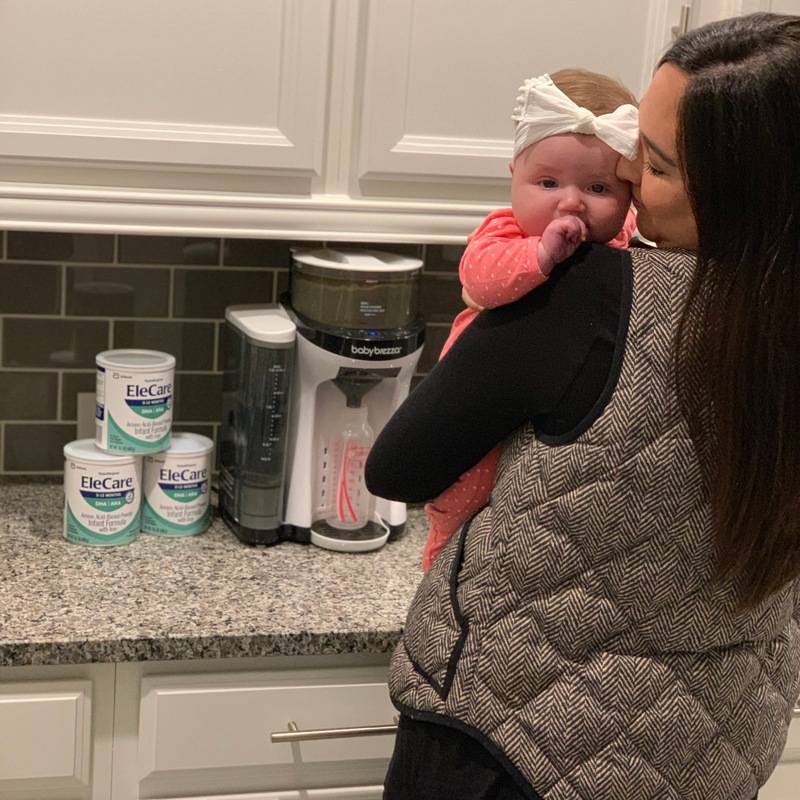 Enter the Baby Brezza Formula Pro. If you are a formula feeding mama or a mama to be, I cannot tell you enough that this is worth every penny. It is known in our house as the baby Keurig. Fill it up with water on one side, put powder in the top, hit the button, and there you go - a bottle perfectly measured out at just the right temperature in 30 seconds. 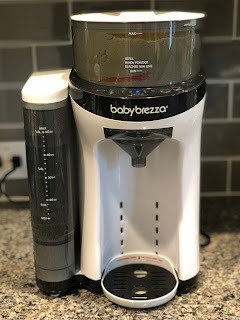 The Brezza is a lifesaver during those early weeks when babies eat so often, but it is especially a godsend when your baby is crying at 3am and you're half asleep. While formula wasn't my first choice and won't be again when we have baby #2, it's not a terrible plan b. Once we switched exclusively, I could have a bottle easily in the diaper bag. I was able to be out and about with Reese without panicking about where and how I would breastfeed in a restaurant or while running errands (seriously admire the women who do it so easily - I was just never comfortable enough). Matt began to take over middle of the night feedings on the weekends (Can I get an amen? ), and friends and family could share in the baby bliss by being able to give Reese her bottle. Sometimes breastfeeding doesn't work out despite our very best efforts, but the #momguilt is real. I still remind myself that there isn't a reason to feel bad. She is healthy and happy, and as we all know, fed is best. 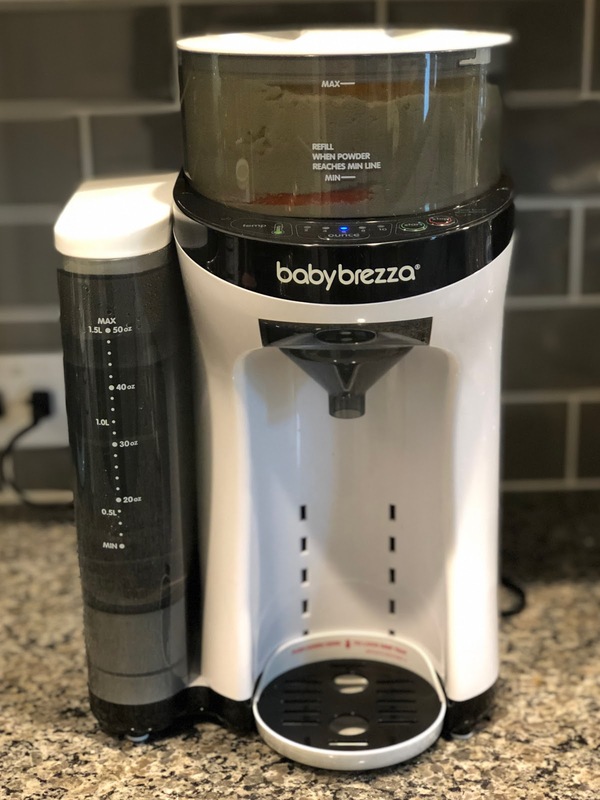 You can get the Baby Brezza at many retailers, but if you purchase it through Buy Buy Baby, you can use one of those wonderful 20% off Bed, Bath, and Beyond coupons! And what mama doesn't love saving some money? This sounds like an amazing device. I don't have any kids, but I can only imagine how useful this would be. I wish I would have known about this, my boy is 6 months now and if I had this earlier it would make it way easier. Thank you for sharing. This sounds like a great product for Mums! I'll have to mention it to those I know who have little ones as it sounds like it would be perfect for them. OKAY GOOD TO FRIGGIN KNOW!! Having a baby in 6 weeeks and I need all the deets! This does sound like it would make life easier for moms! And I so agree: fed is best! Don't ever let anyone make you feel guilty for your choices! This sounds amazing! I didn't even know they made something like this, my youngest is on her last can of formula, so we don't need it now but man with my older ones this would have been perfect! I love that it warms up the formula. This is a perfect gift for new moms. The Brezza seem to be a real lifesaver and a perfect alternative for breast feeding. Sweetheart, the struggles are so real. They keep coming out with more and more devices that make it easier to take care of your baby. Being able to have a bottle ready at the right temperature is a blessing in the wee hours of the morning. Stuff like this makes me love technology. New moms have so much to do. I'm sure this is a huge help. Oh my gosh I can't. "THE BABY KEURIG"! Hahaha! Jokes aside, this definitely seems like a useful machine alright! It is so easy to use and very useful. It will help a lot of new mommy best gift ideas. It has been proven that formula has the same nutrients as breastfeeding so no mother should be feeling guilty because they can't breastfeed. It's great that this gadget helps new moms making sure that the formula is prepared quick and has the right temperature. What an amazing sounding device. I wish they had things like this when my daughter was born! This looks like a great little device to make formula feeding a little easier, especially for those late night bottle feedings. Your daughter is adorable! Very useful device, good piece of technology that will be great for a lot of mothers! I am not a mother yet, but this device looks pretty helpful. Sounds like a good baby shower present! Not a mum but this looks like a wonderful device! I actually bought this! I vouch that it is a gift from god! I wish I had this when my baby was born. I love how much technology can make life so much easier for us moms now a days. This is such a nice device and I would love to get one for my newly born grandson this will be a great help for her mother. I’ve never heard of this brand before, but it sounds like something I would use regularly due to the wonderful function. I’ll definitely have to check it out now. Thanks so much for the review! I’ve not tried Baby Brezza products yet – so your review was extremely helpful. I like the fact that it was very useful! In my country we it is a Mother's decision if she prefers to feed her baby using baby bottle/formula, breastfeeding or in some cases just a rice's juice. It isn't our position to judge, it is the Mother's decision how to take care of her child. Wow, that sounds amazing!!! I wish that would have been around when my kids were babies. I used a machine similar to this when I had my two, they are an absolute god send! That sounds like a great brand for babies. My friend needs to know about this machine. She is going to be a mother next month. It looks like an amazing device! It will help a lot of new moms. Thanks for sharing. I've never understood why anyone makes anyone feel bad for however they feed their baby. Not every can or wants to breastfeed, and that's their business - not anyone else's. I'm glad you found a way that worked for you and your baby!